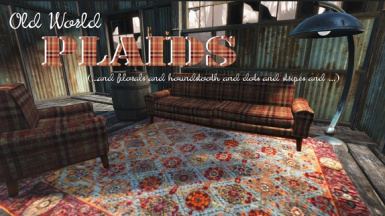 I have used this mod since it was released. 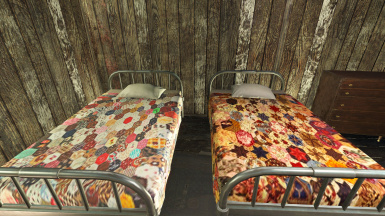 My settlers live in absolute destitution. The one and only comfort they have, is their bed. 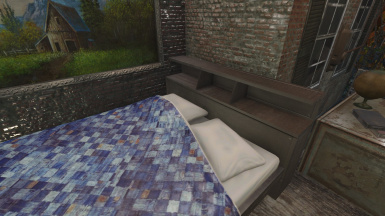 These beds make the struggling contest to survive, a glorious prize at the end of the day. 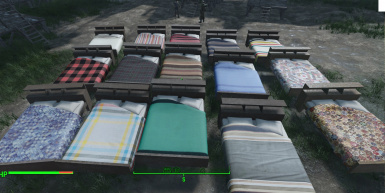 Can't find any of these beds under any bed under furniture menu. Is there some dependency that I'm missing? I have to assume this mod edits vanilla menus (a huge no-no), and won't be compatible with many others because of it. All mods should have their own menu, and use SKE. Im use workshop rearranged. 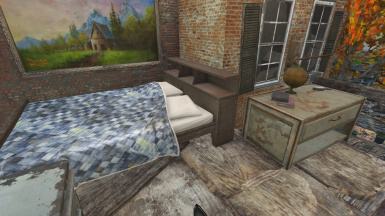 It creates a "mods" category for most of the workshop categories that it applies to (tables, beds, chairs, etc.) If im not mistaken SKE isn't as necessary as it used to be. I'm still using it solely for cannabis commonwealth. (the only cannabis mod worth getting) But anyways, all my menus are intact. If youre still considering it, you dont have anything to worry about. Its also compatible with homemaker as im using that too. 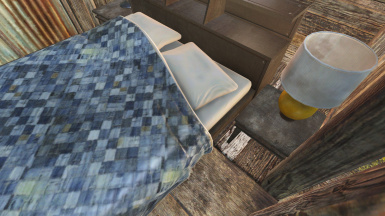 My Bed option does not seem to work for me. 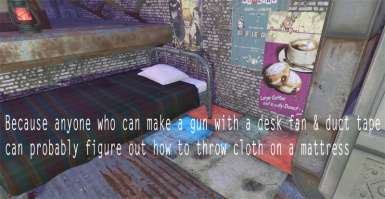 MY Bed also does not work for me. 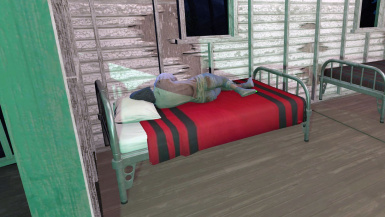 Settlers will come in and sleep in my bed no matter what! 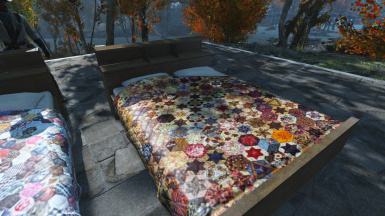 I love the looks of all the beds too, though. 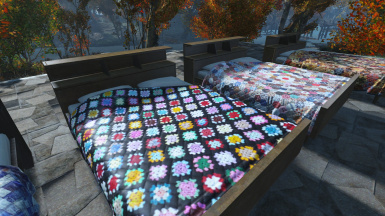 These beds are all wonderfully done. 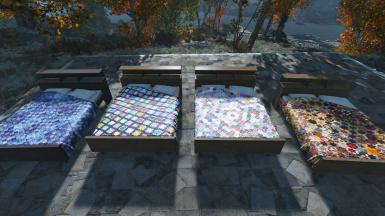 Discovered kinda late, but as of now no other beds will be used in settlements by yours truly. Thank you very much, LupusYondergirl. Alas, looks truly amazing, but it does not work for me. 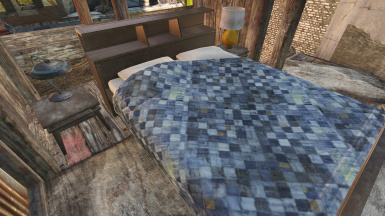 I have downloaded, reinstalled, moved load order, and done everything else I can think to do, but when I go to the beds menu, there are no icons for beds (though there is a written description of the bed I've selected), but there is no option to build---despite having more than enough materials in my Workshop. 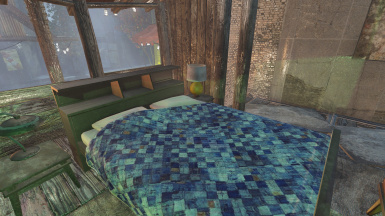 I think it may be incompatible with Homemaker Expanded, because when both are loaded, the Homemaker Beds also do not show up. They aren't even listed as written descriptions. 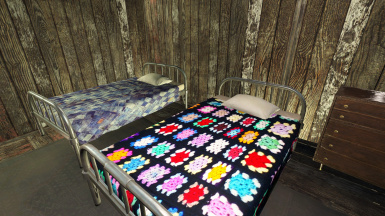 Great looking selection of beds you've made, though. 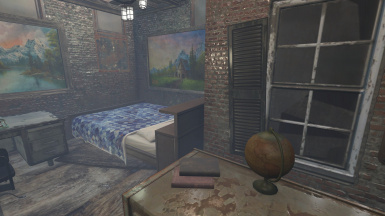 This mod looks amazing, I can't find the "my bed" options though. Where are they located? 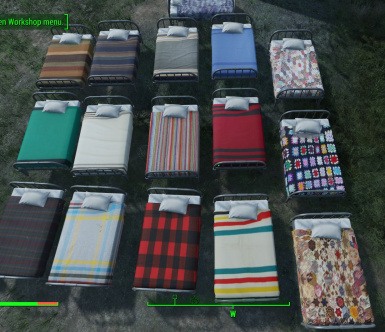 Scroll right for a while and you'll get to beds that don't have a settler requirement. 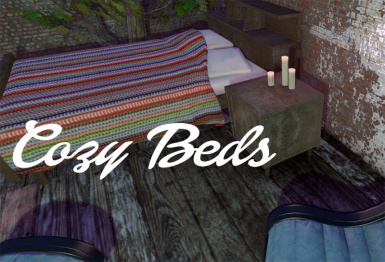 Make sure to install Cozy bed - with MY BED option (files). 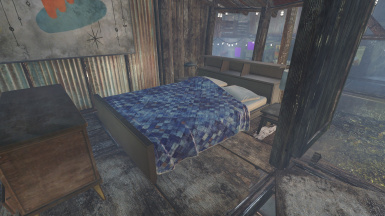 I had this mod installed for a bit before I figured out where the my bed option was. 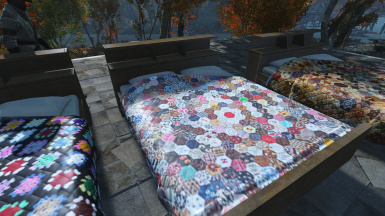 or just those with naming "MY .... bed ..."
They are located in Furniture - Beds, right there with the vanilla variants. 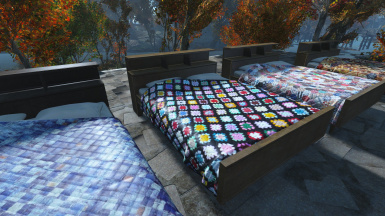 Is it possible to only use specific beds from the mod?